Unlined. Mid rise. Slanted side pockets and welt back pockets. Set-in waistband with belt loops. Zipper fly and hook-and-bar closure. 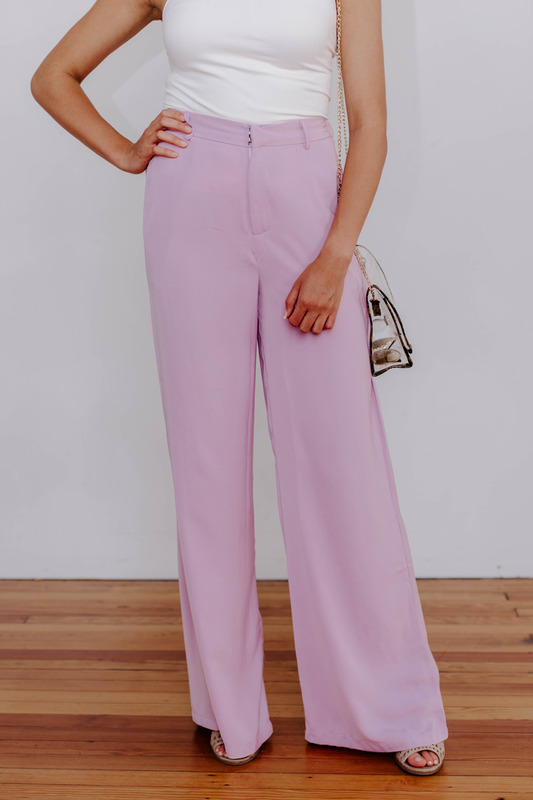 Wide leg trouser. Slanted side pockets and welt back pockets. Set-in waistband with belt loops. Zipper fly and hook-and-bar closure. Hand wash cold, hang to dry.